AspectWorks’ SnowMirror for Salesforce has been approved for listing and is now available in the Salesforce AppExchange, which means Salesforce users can quickly and easily add the application to their instances. With AspectWorks’ SnowMirror for Salesforce, users have an efficient and effective way to store Salesforce data from the cloud in their own local database servers. SnowMirror for Salesforce makes it possible to use cloud data for custom reports or disaster recovery, all run on your own infrastructure. 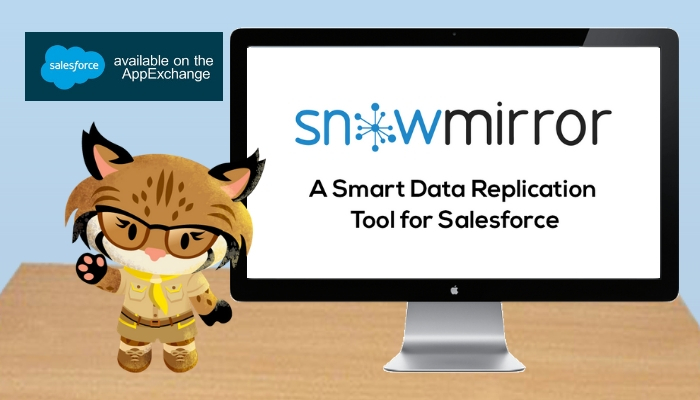 With SnowMirror for Salesforce, data is loaded from a Salesforce cloud instance and stored in a relational database such as Oracle, MySQL or Microsoft SQL Server installed in a local environment. All applications that need the Salesforce data for any purpose can access it in standard database ways (such as through an ODBC driver, JDBC, ETLs or plain SQL). Access to the local database is fast and the Salesforce API is no longer impacted. SnowMirror lets you off-load reporting and business intelligence! SnowMirror lets you off-load reporting and business intelligence, and enables you to easily create flexible reports on your own infrastructure. You can connect your own reporting platforms and tools like Tableau, PowerBI, Cognos, Microsoft Reporting Services or SAP Business Objects to Salesforce, or store your Salesforce data on databases like MySQL, MS SQL or Oracle. In the event of a disaster, you’ll have peace of mind knowing that there’s a copy of your mission-critical data stored on a local server, with guaranteed access even if your internet or application service provider is not available. SnowMirror for Salesforce also reduces load on your Salesforce instance because only a few reports or integrated applications need live data. AspectWorks is a premier enterprise Salesforce consulting and software development company. AspectWorks is specialising in the custom implementation of software solutions to increase your competitive advantage. AspectWorks’ expertise has been built over 14 years and more than 380 successful projects with major clients across three continents. Find out more at www.aspectworks.com.